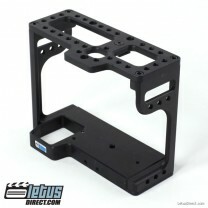 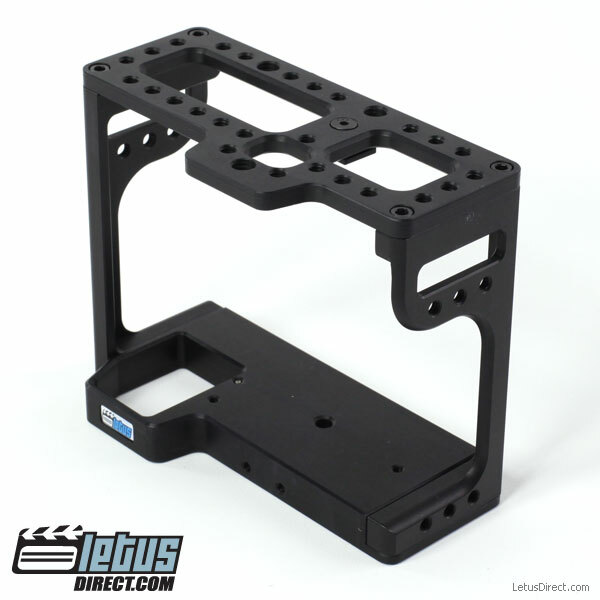 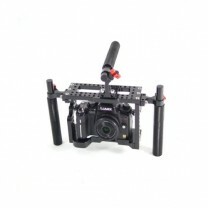 What cages are cheaper than the Wooden Camera Cage? While I think the Wooden camera is the bomb, you do pay for it’s greatness. 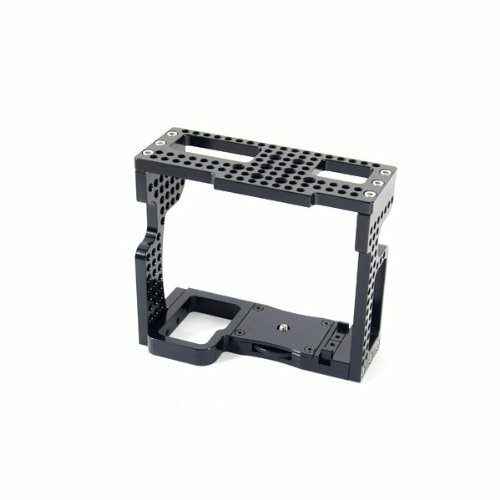 Here are some alternatives to expensive camera cages. 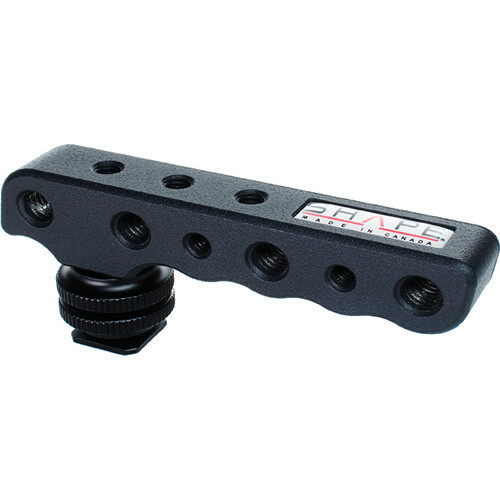 For those who don’t have a solid bodied camera with a hardy hotshoe, there is also another low cost option for a top handle, as well as many possibilities of mounting points (albeit with 1/4-20 or cold-shoe 15mm railblocks). With a coupon, the handles by themselves costed $5/pair shipped from GearUp2Go (Fly Racing Handles). 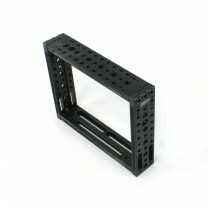 Normally they are just under $10. 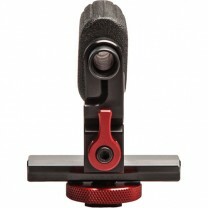 In order to get them to mount to a 15mm rail, you need the $8/each handle sets of adapters from BerkeySystems. For a ‘half-cage’ setup such as this, you’ll need 3 90degree railblocks ($10/each shipped from eBay). 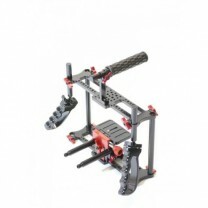 The 15mm rods themselves are usually around $15/pair shipped from eBay. 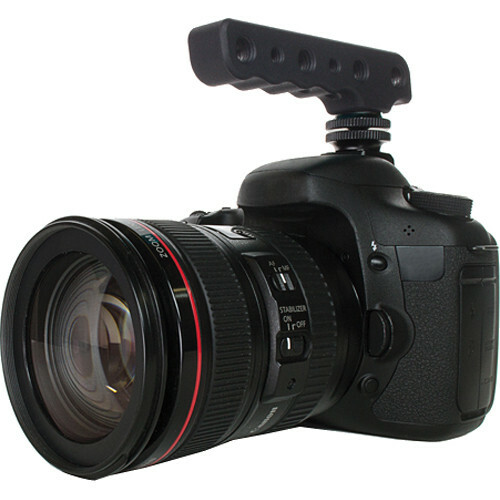 Decently cheap alternative that works pretty solidly. 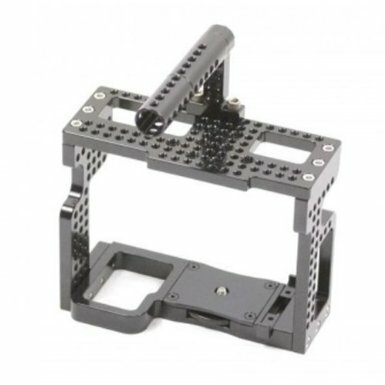 I plan to get the coldshoe railblock for the 7″ magic arm so I can easily remove it and place it directly on the hotshoe when going sans shoulder rig. CPM camera rigs make cages are a also a great ban for the buck. 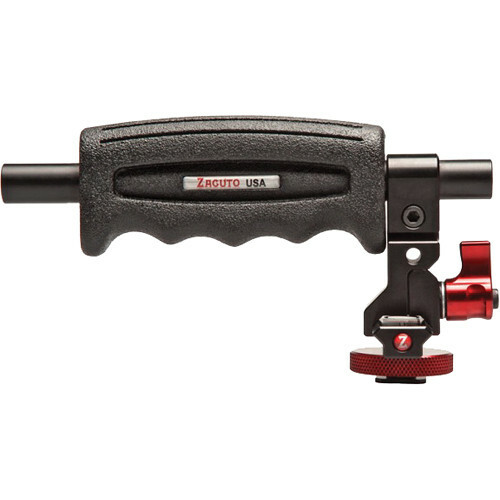 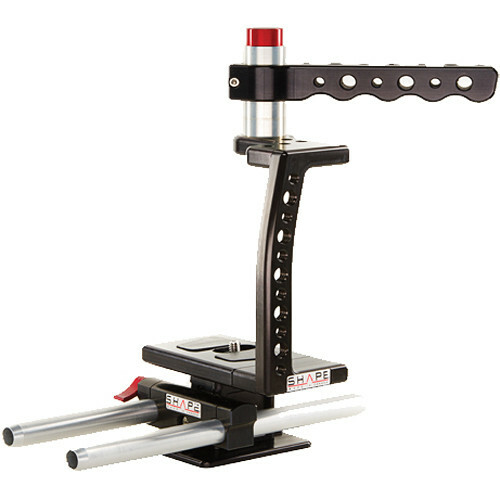 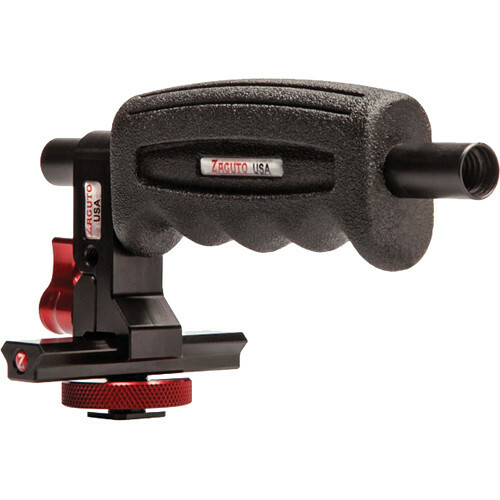 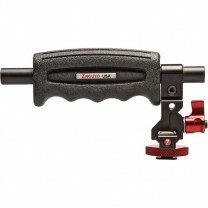 For those with handles that are tapped for 1/4-20 and 3/8 screwmounts…How practical is this for use on a handle? 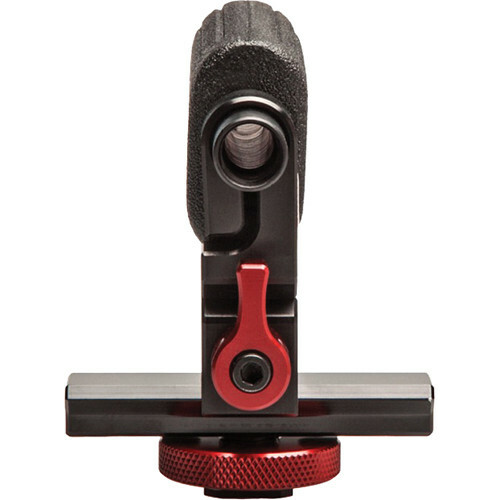 I understand it would cut weight, but if you actually use those to mount, are you still able to use the handle for its intended purpose or does it merely become limited to a mounting rod of sorts? 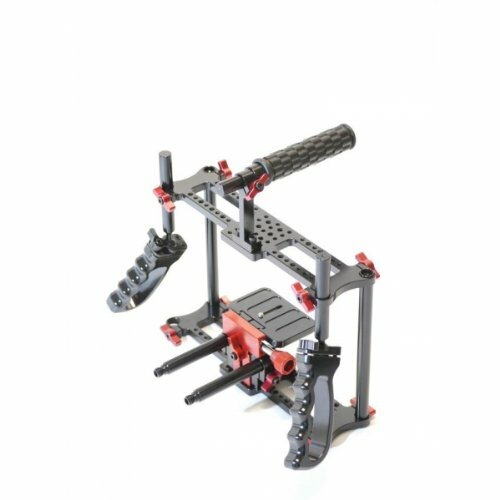 Well done man! I have always wondered if you could really secure a handle via the cold shoe safely, you think its no prob structurally? As long as it’s a 50D, 70D, 7D, 5D, etc. 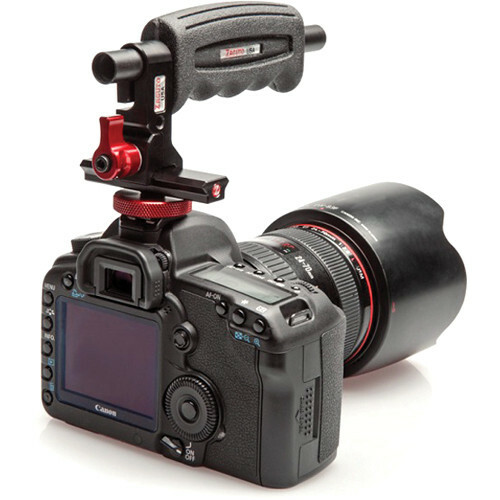 The 60D, Rebel Series and such won’t hold the weight. It seems to be fine with my 7D. 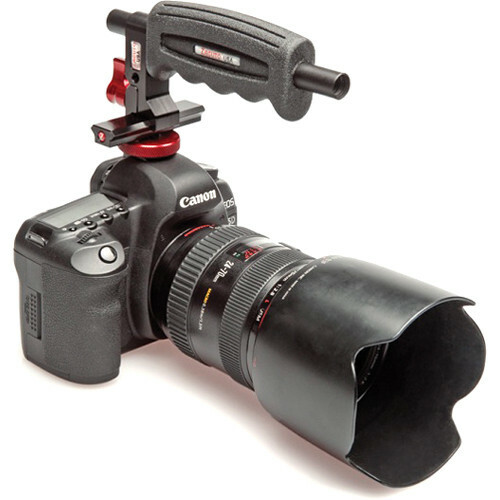 I haven’t tried it with Rebel cameras though. The alloy bodies have the hotshoe anchored in, whereas the composite bodies do not, and therefore cannot stand the weight of lifting by it. Most manufacturers of the handles will state such in their documentation. 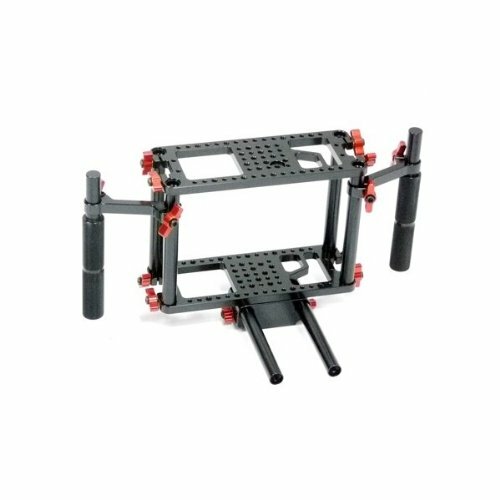 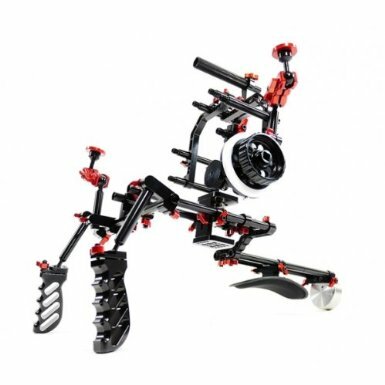 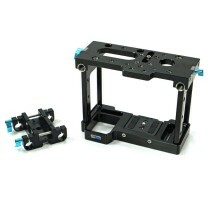 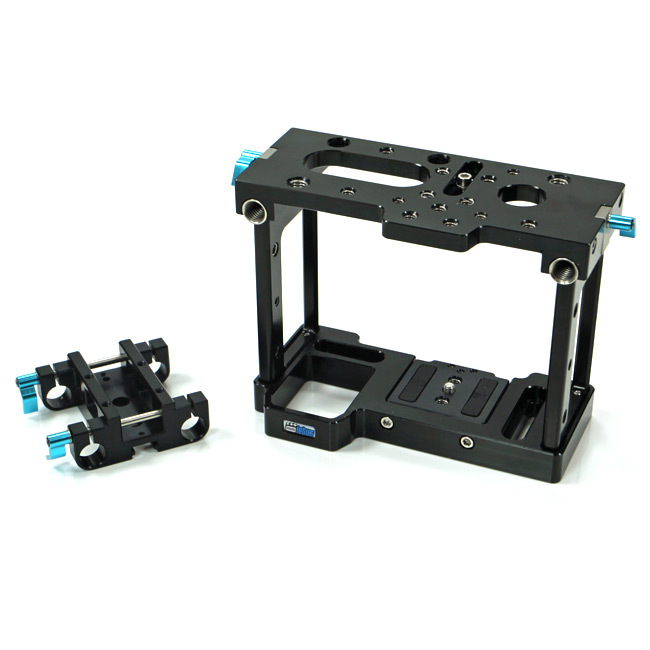 can some tell me if you could use the Gini Rig MK2 with 7D? I don’t know… Haven’t use it.